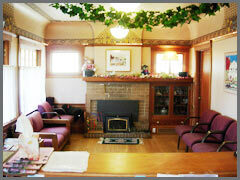 Dr. Campbell has been a practicing orthodontist for 30 years. He received his dental degree from UCLA School of Dentistry and his Orthodontic degree from Marquette University. He also holds five other college degrees in fields ranging from chemistry, to business and law. Dr. Campbell is a member of the American Dental Association, California Dental Association, American Association of Orthodontists, and American Board of Orthodontists. 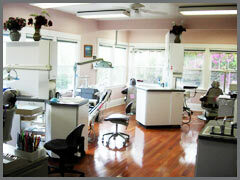 He is a board certified orthodontist and past president of the Napa Solano Dental Society. He has served on several Councils and Committees of the California Dental Association. Dr. Campbell is a Fellow of the American College of Dentists, and the Pierre Fauchard Academy, Honorary Dental Organizations. Dr. Campbell’s orthodontic treatment philosophy is to always do all the arch wire adjustments himself. His view is “You pay to be seen and treated by the doctor. You should expect to be treated at every appointment by the doctor”. Dr. Campbell and his wife Dr. Carney have lived in Benicia for over 25 years and have always been involved with the community. Besides supporting numerous youth teams, he was instrumental in obtaining over a million dollars in improvements to the James Lemos pool and the development of the Mills Community Center. He has been a Benicia Planning Commissioner and has served four terms on the Benicia City Council and was vice mayor three times. When not working or doing community projects, Dr. Campbell competes in triathalons.